Is your SaaS content marketing strategy not performing as well as you want it to? If so, you might be missing key elements that can help you stand out amongst your competitors. 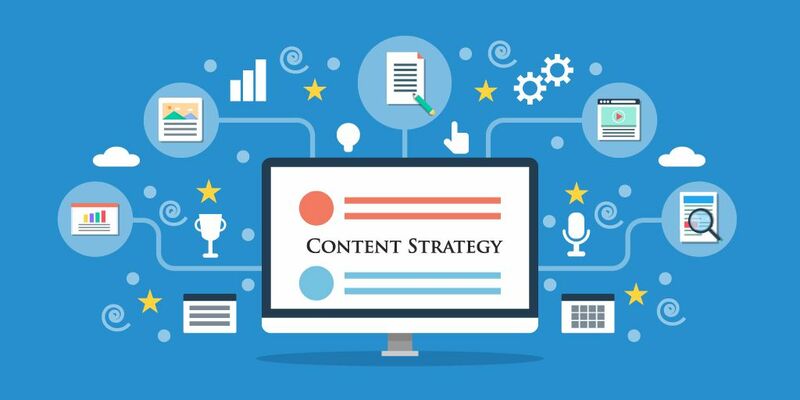 Content marketing is no longer about how many articles you’re producing, but rather the quality and relevance of that content, and surprisingly, only 32% of B2B marketers say they have a documented content marketing strategy. In a recent study, Cobloom analyzed the content marketing efforts of over 250 successful SaaS companies and turned the data they found into action items you can use to improve your SaaS content marketing strategy in an infographic. Here’s a look at the most impactful statistics that can set you on the right path and help you outperform your competitors. Content marketing is a great strategy for educating your audience and improving your organic traffic. With only 11% of SaaS companies creating content, your company has the opportunity to easily leave your mark, rank in search engines, and become a thought leader in your industry. This will not only keep visitors coming back to your blog, but it can turn those readers into customers. In terms of content marketing, while most people primarily think of blogging, other mediums you should consider include premium content (eBooks, webinars, templates, etc. ), videos, and emails. To ensure that you’re content is getting found, it’s important to follow SEO best practices and create quality content your audience will want to read and share. Here’s a great quote from Ann Handley to give you some perspective on creating quality content. On average, consumers engage with 11.4 pieces of content before making a purchase. 85% of customers regularly seek trusted content to inform their decision-making process. While creating PR-focused articles is great, they’re not as helpful as creating educational blog content that will bring visitors to your website. Educational blogs receive 14% more organic traffic than PR-focused blogs, so differentiate yourself by blogging about your audience’s pain points and answers their most asked questions. Creating content that targets those areas makes, you’re making your blog a great resource for your sales team. The days of creating short form content (500 word blog posts) are gone, and, frankly it’s about time. While that worked in 2013, when not a lot of companies were producing content and ranking was easy, that’s no longer that case. Due to content saturation, if you want to produce educational content that will outrank your competition, you need to be creating long-form quality content. The new standard for blog posts is around 1,200 to 2,000 words, and, that number is slowly increasing. Buzzsumo found that long form content around 3,000 - 10,000 words is shared an average of 8,850 times and through the use of long form content, Crazy Egg saw their conversions increase by more than 30%. Not all content has to be written, in fact,some audiences actually prefer other mediums. For example, video isn’t a trend that’s going to sweep in and then quickly dissipate. it’s here to stay, and, if you want to get ahead of your competition, you’ll need to start testing video content and a lot of it. While video might seem a little scary, George B. Thomas offers tips that will help you get started. Companies have also started to implement podcasts. In the last couple of months, here at IMPACT, we’ve launched 4 different podcasts and, 11% of marketers plan to add podcasting to their marketing efforts in the next 12 months. Define your audience. Just like any other piece of content you’re producing, it’s important to identify who your audience is. It will help you make sure that each episode is resonates with them. Do your research. Don’t be afraid to conduct persona interviews, so you can gain a better understanding of what your audience wants to hear. Identify your why. What is your reason behind producing a podcast (why)? What differentiates you from other podcasts? Your audience isn’t going to share something that isn’t helpful or insightful. When creating content, it’s important to step into your audience’s shoes and ask yourself if that’s something they’d want to read and share. If the answer to that question is yes, and you’re creating long-form, high-quality content that resonates with your audience, then you’ll more likely see your top performing blog posts have 10x more shares, 15x more backlinks, and 10x more referring domains. Check out the full infographic below for more insights that will allow you to start improving your SaaS company’s content marketing strategy! Brand Publishing vs. Content Marketing: What's the Difference?